Bakerpan makes the finest bakeware accessories, including Silicone pans, Spatulas, Oven Mitts Etc. This silicone mold will last a life time, can be used to make mini cakes, jello or any other single serving treat. 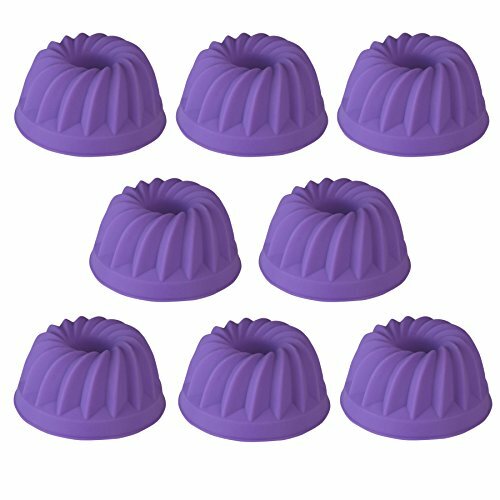 Made of LFGB & FDA Approved silicone, can be used in temperatures from -40 to 446 degrees Fahrenheit, Mold Measures 3 inches wide and 1 1/2 inch high, Each bundt from the edge until the center is approx. 1 inch.